This year, MAC Book Club students are fans of Skulduggery Pleasant and the first term was happily spent creating a trailer for the series. Unfortunately, most of the footage went lost when a device died and the project aborted. 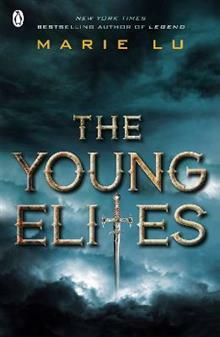 Term 2 has been enlightened by the reading of the Young Elites, by Marie Lu, which also features a strong adventurous female character in a hostile fantasy world. Adelina is a malfetto scarred by blood fever many years ago. But when she is accused of her father’s murder and sentenced to death by Teren, the King’s inquisition leader, she is rescued by a mysterious Enzo, the Young Elites leader who seems even more dangerous than her jailers. Not knowing who to trust, Adelina must manipulate Teren in order to save her sister and the Young Elites. It’s a story of family, love and loyalty and ultimately a rebellion against prejudice, a quest for justice and freedom. Full of surprising special powers and action, this fantasy thriller is also a suspenseful romance. It is difficult to relate to the heroine as she holds as much good as evil. We rated the book 4 out of 5.